£7 plus VAT for 28.4 ml bottle Registrar's Ink. Designed for use by Ministers and Registrars. This ink is very permanent. 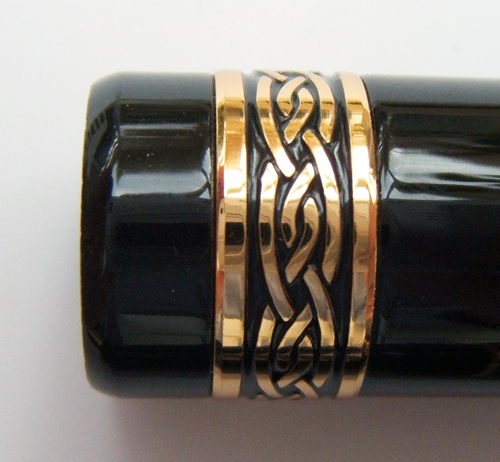 Although suitable for fountain pens it is recommended that the fountain pen is flushed through with tap water before each filling, leave pen to dry properly before refilling with Registrar's ink to prevent the ink becoming diluted with water. 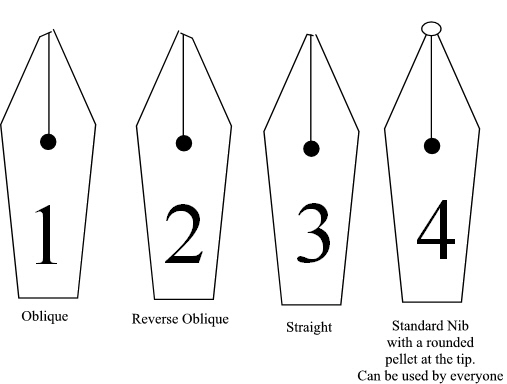 If you are looking for a hard working fountain pen, that is resistant to the corrosive additives in Registrars Ink then consider 'The Parson's Essential' in the panel below. Remember to flush out the pen after each days use. Writes blue but dries black. If you are looking for a quality fountain pen for yourself, a student son or daughter or a truly lasting gift for someone special, this the 'Parson's Essential' is the thoughtful choice. Truly classical in appearance with the style of the 1950's. An undeniable statement of the pen maker's art. Polished black lacquer barrel and cap. This is piano lacquer and makes this pen scratch resistant. 12 cm long with cap off. 14 cm long with cap on. 16 cm with cap posted. 1.1 cm in diameter. Screw cap for security, no more inky pockets. Skip resistant, very free flowing ink delivery. Sturdy clip, will grip even a shirt pocket. Medium italic 1 mm approx on the broad stroke, Broad italic 1.3mm approx on the broad stroke. We now offer a fine italic at about 0.85 mm on the broad stroke. The Fine Italic is slightly cursive as it is cut at the tip of the pellet. Option of 18k solid gold nib, medium non italic only. Made to last for a lifetime, almost indestructible in normal use. Over one thousand sold worldwide. Click on 'More Images' below main image above. 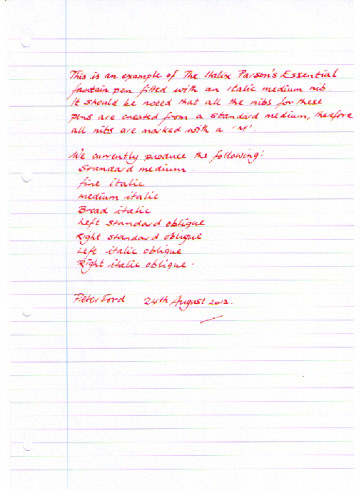 See the legions of testimonials to this classical writing instrument, you can see more on the pen enthusiasts website www.fountain pennetwork.com.